When Bridal Fashion Week unrolled in October, an uber chic wedding trend unrolled with it: Jumpsuits! A big trend in everyday wear, the Jumpsuit trend has made its way to bridal, and we actually couldn’t love it more. 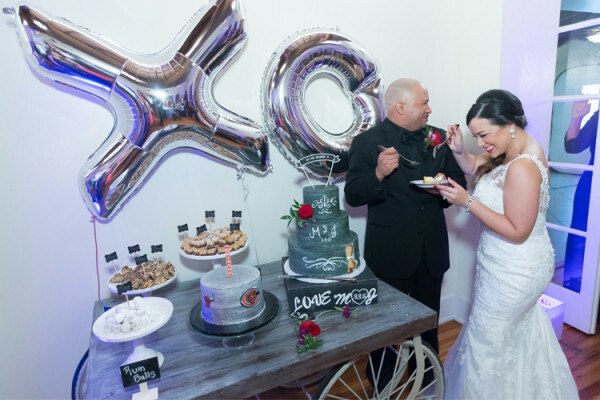 For the bride who wants to stand out, who dares to be different, who just finds pants to be her “look” over a dress, this trend is perfect for you! If you all remember, Ms. Solange Knowles (Beyonce’s sister!) 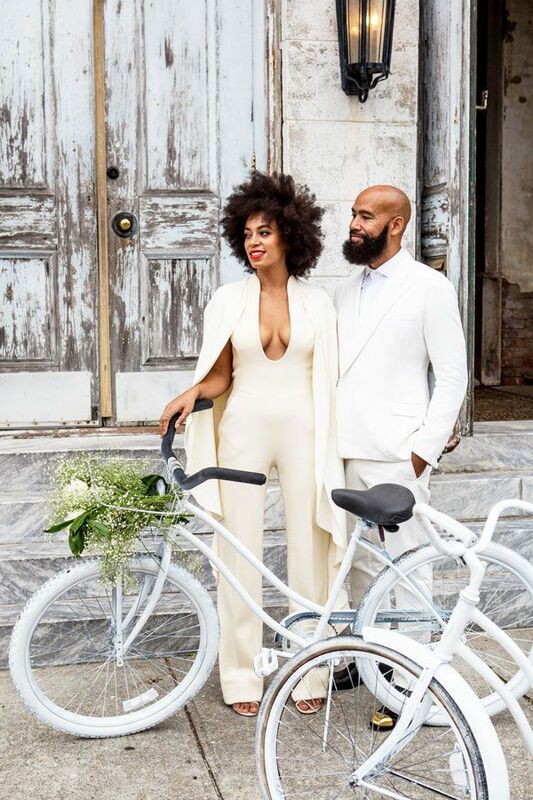 recently wed her hubby in New Orleans and she arrived to her ceremony in an exquisite Jumpsuit by Stéphane Rolland. Trés Chic! You would be surprised to see how bridal each and one of these looks actually is. Some of them, you can’t even tell they are pants! If you want to try this trend but want to also stay traditional, consider rocking a bridal jumpsuit for your Rehearsal Dinner or as your Getaway look! 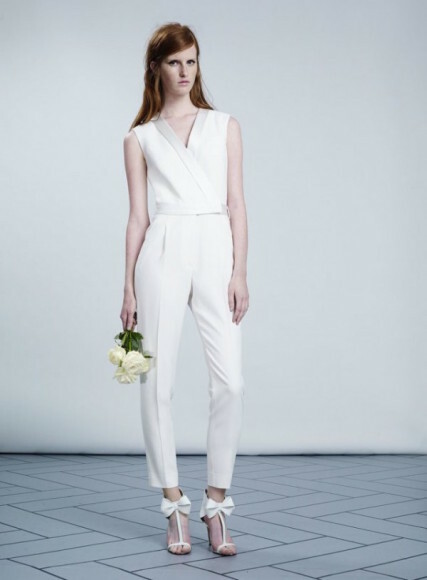 Would you ever consider wearing a bridal jumpsuit?